Crosstown Heating & Ventilating (Calgary) Ltd.
HVAC systems require year-round maintenance and repair in order to run efficiently. Working in hospitals, offices, commercial centers, retail establishments, factories, and other such buildings where climate control is required, Crosstown's Service and Controls department ensure that temperature, humidity, and air quality systems are properly working in order to meet health and safety standards, as well as create a comfortable environment for inhabitants and workers. 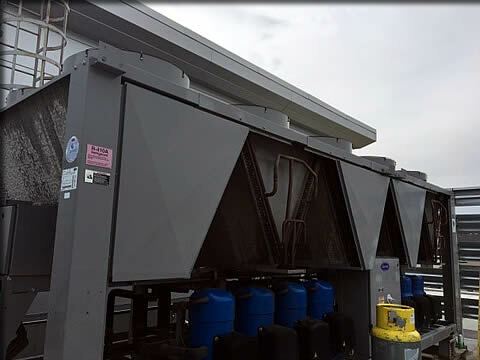 Our Mechanics and Technicians continually receive up to date training which coincides with the increasing complexity of HVAC systems, as well as the mounting public emphasis on air quality, energy management, and new construction changes that will benefit the environment. Direct and indirect make-up air (MUA) systems. Cooling & heat rejection systems, operation and control. 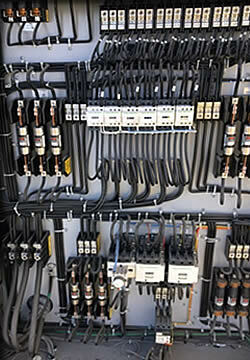 Cooling system components installation, maintenance, configuration and repair. HVAC and Cooling system optimization. Heat rejection plant maintenance and repair.